When a nation virtually announces that it is going to do something in reprisal it compromises one of the basic principles of war — surprise. It is patient and planned operations that will hobble Pakistan. 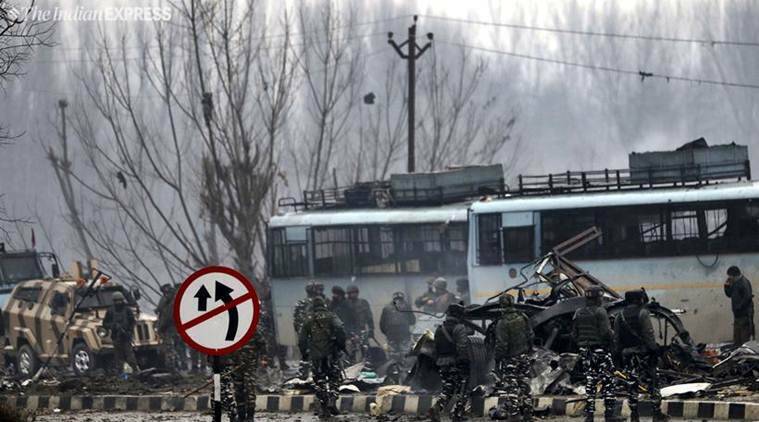 Forty CRPF jawans were killed after an explosive-laden vehicle rammed into a convoy in south Kashmir’s Pulwama district on February 14. The Pulwama incident has created a national outrage even greater than Mumbai 26/11. That is because in the last 10 years, social media has developed to such an extent that information earlier heard on the radio, read in newspapers or watched on television by choice is now absorbed almost by compulsion when smartphones buzz. Besides, the casualties of 26/11, although four times greater than Pulwama, were centred on Mumbai while the 40 CRPF bravehearts came from every nook and corner of India. Their last rites were conducted in an environment of passion, promising retribution. Earlier, every citizen had an opinion but he kept it to himself or discussed it in evening gatherings with friends and associates. There was little scope for rumour-mongering. Today, every stranger on social media is called “friend” and discussions go out of control with hundreds of different perceptions being exchanged between strangers. This is mostly considered the national mood and it changes by the minute based upon fresh bouts of fake news or flawed and ill-informed perceptions. The national mood demands retribution, and rightly so. In 1977, Zia-ul-Haq came to power in Pakistan, overthrowing Zulfiqar Ali Bhutto. Almost immediately, he was quietly planning retribution against India for the disaster that had struck Pakistan in 1971 and humiliated it with 93,000 prisoners falling into India’s hands. However, Zia was smart — his perceived retribution was all about bleeding India, knowing fully well that on the conventional battlefield he could never better it. He aimed at exploiting India’s faultlines, which he perceived as its major weakness. Strangers who make up public opinion on social media today are also self-perceived strategic experts forcing the government’s hand and limiting its options. Emerging from this segment is the voice that there is no purpose served by maintaining an army of 1.3 million if it cannot go to all-out war when the nation is hit below the belt by its adversary. Strategic options from the spectrum of hybrid war, the war of today with multiple tools, rarely appeal to this segment because the optics are absent. So when the media, the array of pseudo-analysts, strangers on social media and many other self-styled strategic experts speak and exchange messages, the projection to the adversary is clear — we are coming to get you and we will come by the frontal approach, the attritional approach so to say. The power to manoeuvre, to placing yourself in a position of advantage and securing your rear and flanks isn’t a part of the strategy this segment speaks of. That is why when I was questioned on India’s military options on television discussion, and I explained the necessity of first securing a “firm base”, I was urged to get on with the “actual” military options — the supposed romantic ones involving missiles and strikes. The power of being smart and conducting something which will pay dividends out of proportion to the effort and potential response rarely occurs to people. When a nation virtually announces that it is going to do something in reprisal it compromises one of the basic principles of war — surprise. Either it must have the focus and prior contingency planning in place to respond within the shortest possible window to square the match or it should work quietly with no time compulsions but with a memory that does not allow time to dilute the commitment towards retribution. In the current case, Pakistan probably appreciated the time window and continues to believe that the passage of time will blunt India’s public anger and lead to a climb-down. For a nation that is surviving on financial borrowing and has just enough forex reserves to pay for a month’s imports, it is diffused, long-term military engagement which will force it to its knees. Covert and invisible operations such as launched by Russia in Ukraine have left the US and the West hopping mad — that is the strategy to study and adapt. However, none of that will pay electoral dividends or give high-level optics, only a smart victory. A major tactical necessity for success in offensive operations is taught at every military school: It’s called “firm base”. Operations are always conducted firm base to firm base. Upgrade that to the national strategic level and the firm base will give us three immediate connotations. First, that a peripheral political consensus will fetch no dividends — it will crack in the next few days. There has to be wholehearted political cooperation as between then Prime Minister P V Narasimha Rao and Atal Bihari Vajpayee in the early Nineties. Second, if the social cohesion within Indian society is fractured, any victory at the border or anywhere else in the military realm is going to be meaningless. Third, leave the national social cohesion aside, if the Kashmiris without any labels attached to them are harmed, publicly vilified and not allowed the benefits of India’s many facilities then the army is going to be fighting at the border while looking over its shoulder. In 1965 and 1971, the army was never uncomfortable about rear-area security. Today, it will need to consider deployment of equal resources for rear area security as for the frontline. When political consensus, national social cohesion and rear areas of J&K are all stable, a strategic firm base will be established, a sure way of ensuring victory. There is no need to discuss India’s potential air-strike options, missile targets or Pakistani bases for fresh surgical strikes. The leadership has given the armed forces the freedom to decide, plan and operate — that is precisely the need. However, with the media assisting in telling the adversary that we are coming tomorrow or the day after, and at which locations, it isn’t helping the national cause. All it needs to do is to give the armed forces a “firm base”. This article first appeared in the print edition on February 23, 2019, under the title ‘Best served cold’. The writer is a former General Officer Commanding of the Srinagar-based 15 Corps, now associated with Vivekanand International Foundation and Institute of Peace & Conflict Studies.